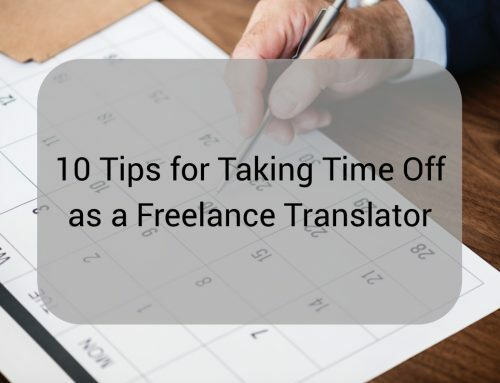 Every translator will tell you that they use tools in their day-to-day business, whether to actually translate or for other reasons. For example, there are many time management and productivity tools available, unfortunately, many tools out there can be very expensive. However, there is a vast range of tools that won’t cost you a penny of your hard-earned money but which still do a great job. The following list of free tools for translators is made up of some of these great, money-saving tools. 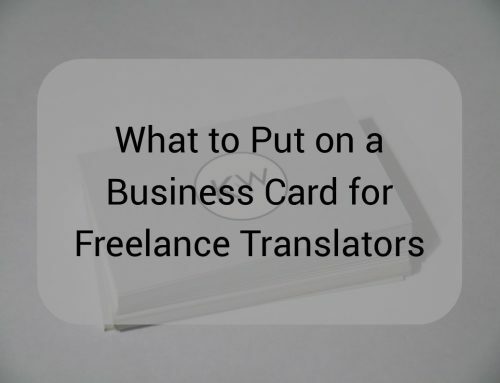 Not all of the tools in my list are aimed specifically at translators, but I have personally used all of them and found that they made my life easier in some way. Some of the following tools are completely free, while others are what is called ‘freemium’, meaning that there is a free version with limited features, and you can pay to upgrade. I have grouped the tools into the following categories: Management and Accounting, Time Management and Productivity, Document Processing and Formatting, Translation, Terminology and Proofreading, Design and Social Media, Security and Backup, Emails, and Other. I, like many sole traders, use the cash accounting system. When looking for accounting software that could handle cash accounting, I found very few free options. Manager was one of the few programs which can work on a cash accounting basis, whilst also having other important features. The desktop software is very flexible, easy to use, stable, and best of all, completely free. On top of that, it is cross-platform, meaning it is available on Windows, Mac and Linux. Protemos is a translation management system which is completely free for freelancers. It is online-based and allows you to manage projects, store and send documents, create invoices, and more. Since it is online-based, you can access it from anywhere on any device. Quahill is another translation management system which is also free to freelancers. This program is desktop-based and provides similar features to Protemos, including client management, and CAT tool analyses. Quahill has been localized into Spanish, German, French, Russian, Italian, Portuguese, Polish, Czech, Lithuanian and Bulgarian. TransferWise is a way of sending and receiving money in other currencies that is much cheaper than PayPal or high street banks. This means that you can save money when getting paid by foreign companies. TransferWise is regulated by the FCA, so your money is completely safe. They have also recently launched ‘borderless accounts’ and debit cards. The ‘borderless account’ is effectively one account with bank details for GBP, USD, EUR and AUD. This means that you can receive money in these currencies using a normal bank transfer without incurring any fees. Google Keep and Google Calendar are completely free and are available as apps on your phone or in a browser. They also sync seamlessly across all your devices. Keep allows you to create and store notes, lists, audio recordings, photos, and more. It is possible to reorder and indent items within a list, which can be really useful when prioritising tasks or creating sub-tasks. You can also colour-code, tag, add collaborators, and set up reminders linked with Google Calendar. Toggl is a time-tracking app which you can use to track how much time you spend doing different tasks, you can then create reports based on this data. It can be used in many ways, including through an app, a browser extension, and a desktop app. It also has the option to integrate it with many other programs, such as Google Keep or Google Calendar. The free plan doesn’t include all the features, but it still does what the majority of users will need. 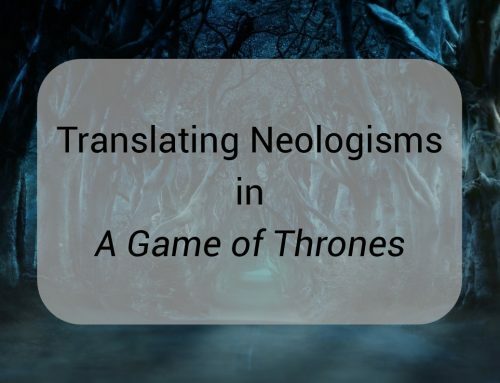 Have a look at this blog post at the Translator’s Studio for more information on how translators can use this tool. Tomato Timer is an online timer based on the Pomodoro technique, which is a time management method that aims to make you more productive. The technique is based on working in 25-minute bursts, followed by a 5-minute break. After 4 bursts of 25 minutes, you take a longer break of 10 minutes. The online timer is simply pre-programmed to time a Pomodoro (25 minutes), a short break, or a long break. I’ve found that I really concentrate better this way and get more done. Another ‘tool’ which can be used to increase productivity is your keyboard! Have a look at my post about keyboard shortcuts here. LibreOffice is a free, open source equivalent to Microsoft Word. It uses a similar layout to Word and has many of the same features. Bullzip PDF Printer is installed on your computer as a printer, but it actually saves whatever you choose to ‘print’ as a PDF. These days, many programs already give you the option to save as a PDF. However, Bullzip is especially useful when you only want to save certain pages of the document as a PDF. T9n counter is an online tool which allows you to upload .DOCX, .XLS, .XLSX, .PPTX, .PDF files. Once the file is uploaded it generates a detailed word count, including the number of repetitions. It then has an option to enter your usual rate and your rate for repetitions in order to generate a quote. This is especially useful, for example, if you receive a document when you only have access to your phone and cannot use your CAT tool. Online OCR is a free, online converter which can convert PDF documents and some image files into Word, Excel or text formats. You simply upload the file and select the source language and the output format that you desire. Without registration, you can convert 15 files per hour. If you register, you can then convert multipage PDF files and access other features. I have had really good results from this tool compared to some other free, online OCR tools. Once you have converted a PDF into another format, you may find that it has some formatting issues, such as line breaks. This online tool removes unnecessary line breaks and therefore saves you the time and effort of having to do it manually. These are both free CAT tools, OmegaT is desktop-based, while MateCat is online-based. In my opinion, it’s always worth investing in a fully-featured CAT tool. However, if you just want to give CAT tools a try before buying one, can’t afford one right now, or don’t have access to your usual CAT tool for some reason, free CAT tools can be useful. Personally, I found OmegaT to be confusing and not particularly user-friendly, but it can be worth it if you persist. On the other hand, I found MateCat much more user-friendly and self-explanatory. Grammarly is a tool which you can download as an app inside Word, or as a browser extension. It works like a spellchecker but for more advanced grammar issues. It’s really good at picking up homonyms, misused words and incorrect comma usage. I found that the browser extension REALLY slowed my browser down, so I ended up uninstalling it. However, the Word app is great and I always run documents through it as a final QA check. The free version doesn’t include all the features, but I’d say it’s definitely still worth having. IntelliWebSearch is a program which allows you to search terminology in multiple search engines, dictionaries and encyclopedias all at once. As you can imagine, this can save translators a lot of time. Many of the main CAT tools these days now include their own version of this. However, IntelliWebSearch allows you to do this from any application, using any browser. It could also be argued that this tool is more customizable and has more features than the built-in searches that now come with CAT tools. The freeware version has some limits but should still be sufficient for most translators. Canva is a great graphic design tool website which is really easy to use. It has templates for all sorts of social media formats, as well as print media formats. You can use it to design logos, business cards, flyers, Facebook cover photos, Twitter profile pictures, and much more. There are a lot of free images and icons available, but you do have to pay for certain stock images and features. GIMP is a free, open source equivalent of Photoshop. Admittedly, it doesn’t have every single feature of Photoshop, but it is still incredibly advanced for a free program. I use GIMP when creating images for marketing and social media. It’s also useful for converting between different image formats or resizing images. Hootsuite is a social media management platform which helps you to manage multiple social media accounts in one place. One of the most useful features of the tool is the ability to schedule posts, saving you precious time. It also provides analytics reports which can help you to evaluate the success of your posts. With the free version, you can manage up to three social media accounts. Perhaps strictly-speaking it is not a tool, but Pixabay is still a really useful resource. It is a huge library of royalty-free stock photos, great when writing blog posts or creating marketing materials. Pikwizard is a promising, new image library similar to Pixabay. However, unlike many free stock photo websites, it has a lot of photos of people. LastPass is a password manager, generator and vault. Using a browser extension, usernames and passwords for all manner of accounts are encrypted and stored in your vault. You access your vault using a master password, and two-step verification if you set this up. Once logged into LastPass, you are automatically logged into sites which are saved in your vault. This means that you can use very secure passwords without worrying about forgetting them. The free version has some limits, but I haven’t felt the need to upgrade yet. Dropbox is a file-hosting service that offers cloud storage and file synchronization. It also lets you share files and collaborate on them. You can access your Dropbox account from any device, and any changes you make automatically sync across all devices. Another really useful feature is that you can easily restore previous versions of files and undo changes. It is even possible to recover deleted files for up to 30 days. Basic accounts are free and include 2GB of space. However, you can earn more space in various ways, such as referrals. If you ever work away from home on public Wi-Fi, you need to use a VPN, Windscribe is one of the best free options. Public Wi-Fi networks are insecure, they are not encrypted so they are often targeted by hackers. This means that users are at risk of having their information stolen. VPNs encrypt your connection in order to protect your information. Windscribe comprises of a desktop app and a browser extension. The free version offers up to 10GB of bandwidth per month with the option to connect to various different servers located around the world. Mozilla Thunderbird is a free, open source desktop email application. You can use the application to manage multiple email accounts from one place, and you can also link your Google Calendar to it. Besides being easy to set up, one of the main benefits over using an online email client is that you can view emails that you have already received when you are offline. BlueMail is a completely free email management app for your phone, also allowing multiple email accounts. I find BlueMail to be really well-designed and easy-to-use. I had problems with instant push settings on some other email apps, but with this app, I get email notifications instantly with no problems. 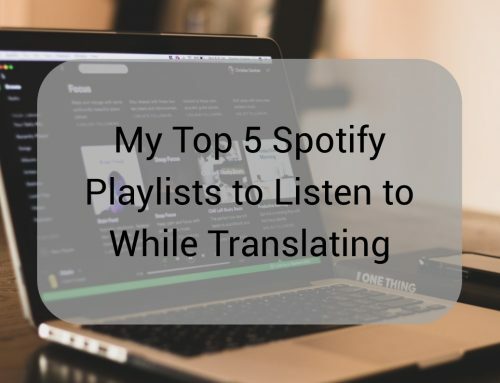 Listening to podcasts is a great way for translators to continue learning, and there are many translation-themed podcasts available. Of course, you can listen to podcasts without an app, but having one makes downloading and keeping track of your podcasts so much easier. Castbox is a great, free app which allows you to discover, subscribe to, and download podcasts. It also tracks which podcasts you have already listened to and suggests other podcasts based on your listening history. One of the best features of Castbox is the ‘In-Audio Search’ which uses artificial intelligence to transcribe and search within podcasts. You can also access your account from multiple devices and your podcasts will automatically sync. The Snipping Tool is included in Windows Vista and later, but many people don’t know about it, or how to use it. Basically, it captures screenshots, however, it can do this various formats. For example, in free-form or by selecting certain windows or menus only. You can then annotate, save, or share the screenshot directly from the tool. To find the Snipping Tool, select the Start (Windows) button and type Snipping Tool. Speech Recognition comes included in Windows Vista and later, you can find it by searching for it in the taskbar. Once set up, you can use the speech recognition tool to control your PC with just your voice, without the need of a keyboard or mouse. Using this tool can speed up your work, enable you to work at a distance from your desk, or allow you to do other tasks at the same time. Speech recognition is available in English (United States, United Kingdom, Canada, India, and Australia), French, German, Japanese, Mandarin (Chinese Simplified and Chinese Traditional), and Spanish. Windows 10 also has a dictation tool which is activated by pressing the Start (Windows) key + H when speech recognition is enabled. The tool will then convert whatever you say into text anywhere on your computer. Currently, this is only available in US English, but it seems to do an okay job at recognising my British English accent. WeTransfer is a cloud-based file-sharing service. Some files can be too large to send by email, this is where WeTransfer comes in. It is free to share files up to 2GB in size and can be used in your browser or via mobile apps. Have you tried any of these tools and found them useful? 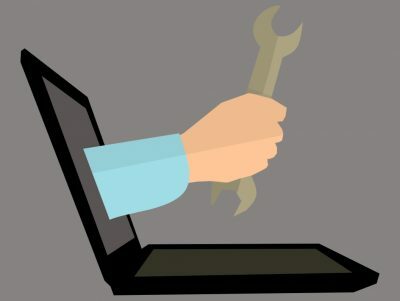 Or are there any other free tools that you use and find useful? Let me know with a comment below!